I would be delighted to serve and assist you. 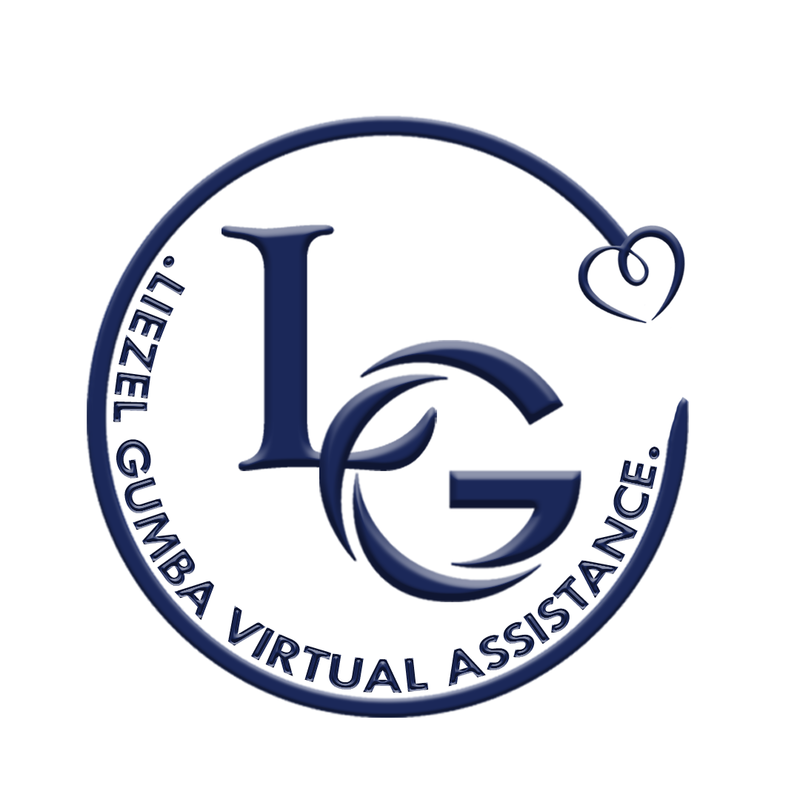 I am a trained and experienced Virtual assistant, and can be of a great help to support on your day-to-day task in various areas of General Virtual Assistant; Social Media Management and Marketing; SEO Strategies; Setting up a website and Graphic Designs. I graduated with a degree in BS Electronics Engineering, been in this industry for more than 7-years. As an experienced Virtual Assistant, these skills have equipped me to be the best at what I do. 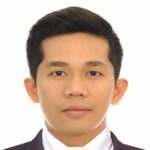 I am a self-motivated person who is willing to go above and beyond on any project and to learn valuable skills on my own time. I believed I am that person if you are looking for an enthusiastic, able to manage time, a reliable virtual assistant with both skills and passion. We can work together and will bring you not only just my experience but patience, and creative problem-solving that would help you to move forward to the next level of your business growth. Please feel free to contact me! I am more than willing to become a part of your team. I am ready to start working on large projects and pursue them fully committed, fast and precise. Personal Assistant to a U.K based Client. She is a CEO, Europes Leading Global Negotiator, Speaker, Coach, and Author of the Thank you Divorce. Mainly assisting her with daily tasks as required, Social Media Management and Marketing, Video and Graphics Editing, Website Creation and Management as well as other Administrative support tasks. Handles project management tasks for FVA Services, and FVA Apprenticeship. Monitors, and supports FVA Services Managers tasks. 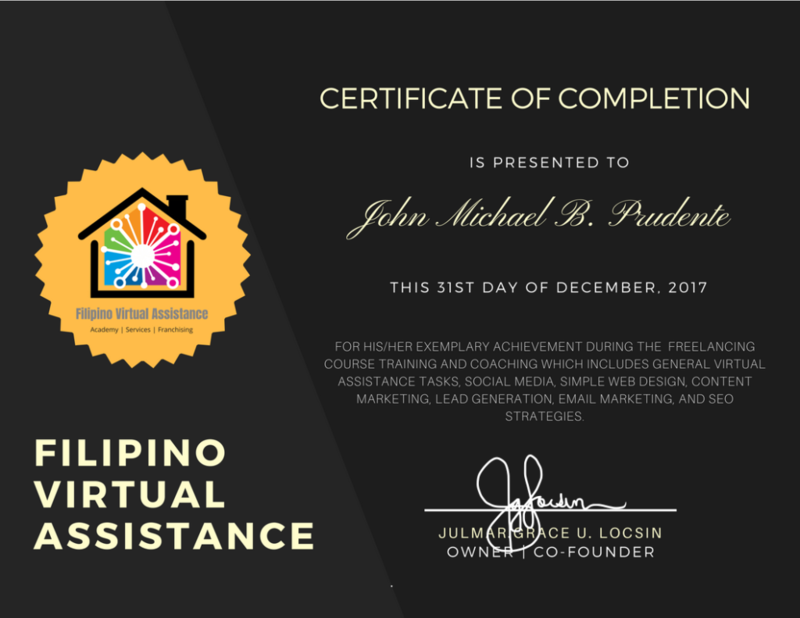 Completed the Freelancing Course Training and Coaching which includes general Virtual Assistance Tasks, Social Media, Simple Web Design, Content Marketing, Lead Generation, Email Marketing and SEO Strategies.